Alumina Ceramic Ring is the best-known advanced ceramic material, is widely used in automotive, petro-chemical, fluid control,materialtransfer,Industry,electrical and electronic,semiconductor.Sapphire is single-crystal alumina. Alumina Ceramic Ring with Less variance in outline, plate thickness, slit pitch, etc. 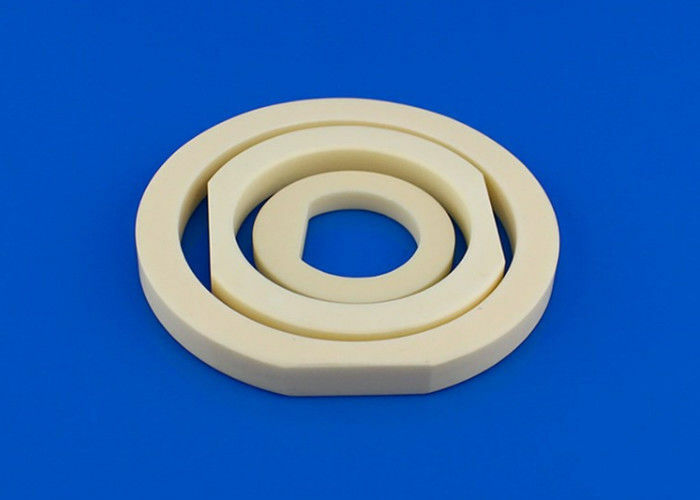 This Alumina Ceramic Ring is characterized by its extremely high strength and thermal conductivity. The outstanding surface quality on both sides makes it the perfect companion for any commercial thick film paste and even makes it suitable for a number of thin film applications (sputtering). With its extremely fine surface quality, Alumina Ceramic Ring is designed especially to meet the highest demands in thin-film technology.